Epistar SMD LED Strips Lighting is mainly used in shop counters & wall bays, especially Jewelry, watch, cosmetic luxury retail shops. Those LED Strips must be power lighting, but reduce heating, so it is normally installed with alluminum channel & PCB to release heating. 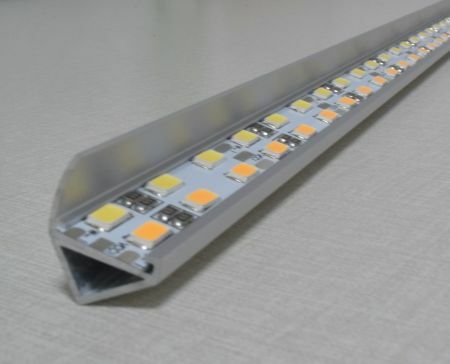 If it is installed under the shelf, there will be a transparent formed plastic to cover the LED chip so that client can not see the LED chip lighting dot. Epistar SMD, powerful lighting, perfect choice for jewelry & watch shop lighting. 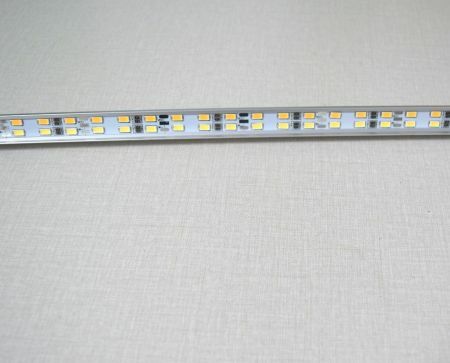 Rigid Aluminum PCB, improve heating release & LED bead life span. 2. with or without Alluminum Channel according to clients' options. Enclosed are RGBW Flexible LED Strips installation menu. NOTE: Please do not connect the LED Stirp to 220V/110V directly! 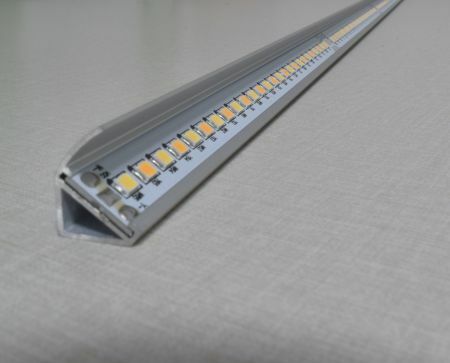 In order to guarantee that the LED life and the use environment, can not make any force when the product lighting use to pull the power cables, forbids to collide, in order to avoid damages LED. 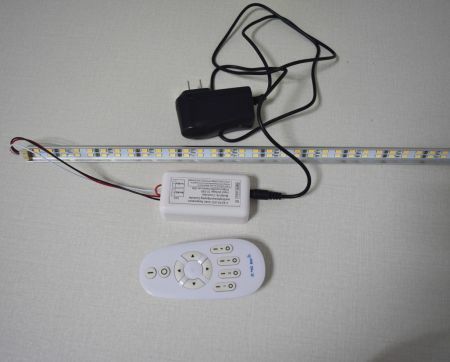 For can better lighting effect of the product, each 5 meter long strip must connect the main power source. Must guarantee that each power source (GND) must connect. Should not be curving in the diameter 60mm following radian, please do not rebate, in order to avoid damage lamp bead or break. Please follow the user manual for installation. Please note the careful operation, in the power source connection' s situation, will touch the alternating current supply end possibly to cause your safety. In the actual application, the power source should retain 20% remainders, guaranteed that the sufficiency the voltage lightens LED. Installs as far as possible the product in the appropriate environment. Pays attention to the power cable in the installment process positive and negative extremely, please do not wrong, power source and product voltage to be whether correct, in order to avoid creates the product the damage.